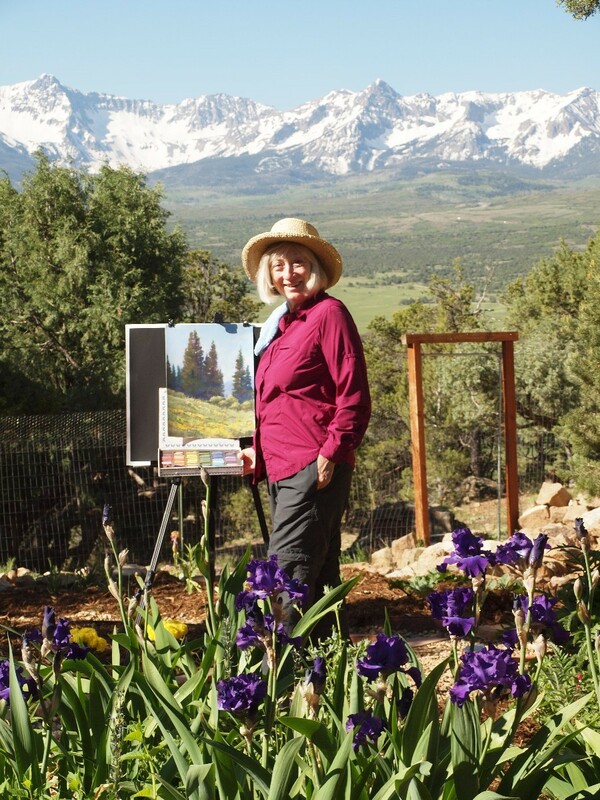 Barbara is a landscape artist who works both on location and in her studio, which overlooks the majestic San Juan Mountains. She draws her inspiration from Nature, especially from hiking and exploring the scenic Southwestern landscapes. Barbara's works have won many awards in local, regional and national shows including Best of Show, Best Pastel in Show, People's Choice and numerous First Place awards. Her work is featured in many corporate collections including Alpine Bank, Citizen's State Bank, XTO Engery Corp., Maxfield Peterson PC, the Stone House Restaurant, the permanent collection of Farmington, New Mexico’s Gateway Museum; and numerous private collections. A signature member of the Pastel Society of Colorado and an Associate Member of Women Artists of the West, she also has served on the Board of the Ouray County Arts Association. Barbara works almost exclusively in pastels, her favorite medium, in a representational style described as "contemporary realism." Although she is basically self-taught, she has studied with and been influenced by contemporary artists such as Bruce A. Gomez, Richard McKinley, Sally Strand, Jay Moore and Kim Lordier; as well as by Thomas Moran and California Impressionists Guy Rose, Edgar Payne and Arthur Grover Ryder. Her work is represented by Weems Galleries in Albuquerque, New Mexico.